PwC is a network of firms in 157 countries with more than 223,000 people who are committed to delivering quality in assurance, advisory and tax services. As the needs of PwC's clients and stakeholders have changed, so has PwC. They try and look at the world through the eyes of clients. Anticipating and listening to their needs, helping them to solve problems and capitalise on the opportunities new technologies and an increasingly interconnected world brings. As a people business, PwC's purpose, culture and values are at the heart of everything they do. Around the world, clients are focused on growth, driving value for stakeholders while navigating an increasingly complex world and managing risk. They’re working to help them: become digital organisations and use technology to drive solutions transform the way they work to create new value manage risks, including cyber create, execute and realise results from mergers, acquisitions and other deals develop and drive value from people strategies navigate the complex legal and regulatory landscape ahead with confidence make informed decisions and operate effectively within capital markets, tax and economic systems. Home to BCF Boating Camping Fishing, Rays, Rebel, Supercheap Auto and Super Retail Commercial, the Group has operations in Australia, New Zealand and China, all striving to provide solutions and engaging experiences to enhance our customers’ leisure time. Started in 1972 and publicly listed in 2004, the Group has grown to become one of Australasia’s leading specialty retailers with more than 630 stores and annualised turnover in excess of $2.5 billion. Virtual Legal is an online law firm based in Brisbane which services all of Australia and also New Zealand, providing property, business, family law, wills and estate planning legal services to clients without ever meeting them. The company is a pioneer in legal tech and will soon launch a public self-service legal platform so that all advisors can work from home or wherever they choose, for much better pay rates than they are currently receiving working for other firms. The customers are also provided extraordinary flexibility in how they can get advice and assistance without the price tag. In August 2018, Virtual Legal will be launching the Law On Earth platform which is a world first public self service advice platform providing legal, financial, business and personal advice to customers for approximately 15% of the usual cost of engaging advisors. The platform has thousands of videos, ebooks and guides which are free for public use and the entire system is geotagged to ensure only the relevant laws are applied, correct advisors are suggested and documents are created for that customer’s location. The AI chatbot (with voice recognition) then guides the customer through the platform using cognitive learning and mood sensing. Customers can set up companies, formally verify their ID using facial recognition technology and book a recorded 20 minute call with an advisor. The advisor writes notes to the customer during the call and this is encrypted so only the customer can open the advice which protects legal privilege and confidentiality. The customer answers questions in the platform to create the right document as the system creates the correct clauses for their situation and location, which the advisor can amend. The system uses the same algorithm of question answer to create the Human Guide which provide a simple explanation on each clause in the agreement. This means the 80% of the population who need business, property, wills and state planning or family law help, finally have access they can afford no matter where they live. Katie Richards is an entrepreneur, educator, innovator and enabler. 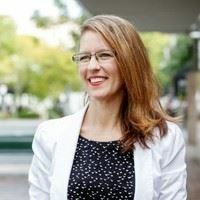 In 2013, Katie set about founding Virtual Legal, an Australian online law firm, now also in New Zealand and opening in the UK in December 2018. In August 2018, Katie will be launching the Law On Earth platform which is a world first public self service advice platform providing legal, financial, business and personal advice to customers for approximately 15% of the usual cost of engaging advisors. The platform has thousands of videos, ebooks and guides which are free for public use and the entire system is geotagged to ensure only the relevant laws are applied, correct advisors are suggested and documents are created for that customer’s location. The AI chatbot (with voice recognition) then guides the customer through the platform using cognitive learning and mood sensing. Customers can set up companies, formally verify their ID using facial recognition technology and book a recorded 20 minute call with an advisor. The advisor writes notes to the customer during the call and this is encrypted so only the customer can open the advice which protects legal privilege and confidentiality. The customer answers questions in the platform to create the right document as the system creates the correct clauses for their situation and location, which the advisor can amend. The system uses the same algorithm of question answer to create the Human Guide which provide a simple explanation on each clause in the agreement. This means the 80% of the population who need business, property, wills and state planning or family law help, finally have access they can afford no matter where they live. F2018 Young Space Leader Global Aerospace Summit 2018 Top 4 Tech Innovators Komatsu 2017 Best Pitch Ribbit Health Informatics 2017 Richard Branson’s Worldwide Top 10 Technology Startups Extreme Tech Challenge 2016 NASA Space Apps Global Best Use of Hardware Alex is founding CEO & Head Designer of Canaria Technologies: an elite NASA award-winning hardware startup creating predictive biometric monitoring equipment for use in astronaut training and the resources sector. Having designed the original proof of concept in 2016, she is now commercialising the Canaria Earpiece, a real-time medical-grade wearable powered by machine learning which can predict cognitive fatigue, for use in the Australian mining, oil and gas industries. 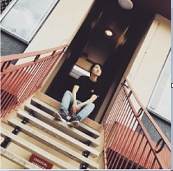 Alex is a designer with a background in business management. Former business strategist Daniel Hunt Fine Art, Tanya Baxter Contemporary, founding CEO of The Court art dealership, CEO & Editor-In-Chief M2 Magazine. Creative director for global ad campaigns Philip Treacy, Le Roni with features in Italian Vogue. Graduated Courtauld Institute 2014 specialising in Design Psychology. Guest Lecturer Hult Business School; Panel Critic Bartlett School of Architecture. 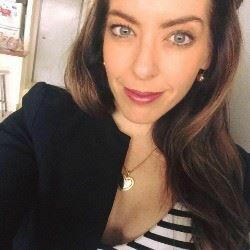 Simone has operated at many ends of the digital industry and corporate spectrum - from locally and internationally seed-funded startup founder in Brisbane and Dubai, to Operations Manager of an Australian Franchise, to Chief Strategy Officer of a cross-border digital payments company. Through her consultancy partnership, she has had the privilege of providing advice on digital business growth, commercial model and structure to a range of large enterprise and SME clients. An accomplished business leader and public speaker, in 2014 she was recognized as a finalist in the national Rexona Business Women's Forum, awarded the Rivercity Labs CUA sponsored entrepreneur program in 2015 and been accepted into UQ's germinate program and Dubai's Turn8 Accelerator program. She is co-founder and managing director of a digital payments company poised to bring payment solutions to the auto industry and attack problems endemic to the direct debit industry. 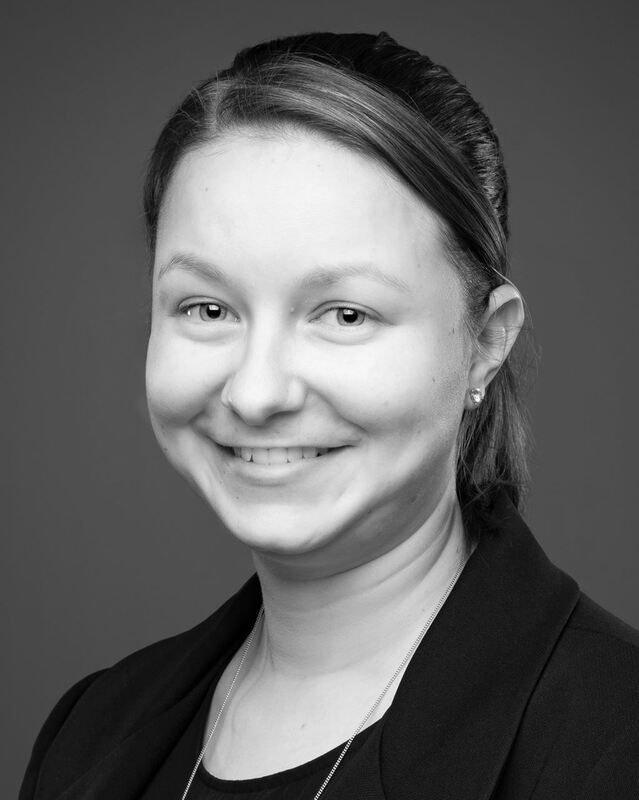 Amanda Miotto is an eResearch Senior Analyst and Software Developer for Griffith University. She started off in the field of BioInformatics and learnt to appreciate the beauty of science before discovering the joys of coding. She is heavily involved in Software Carpentry, Hacky Hours and Research Bazaar, and has worked on platforms around HPC, microscopy, scientific database portals; as well as engagement with research groups highlighting relevant upcoming technologies. 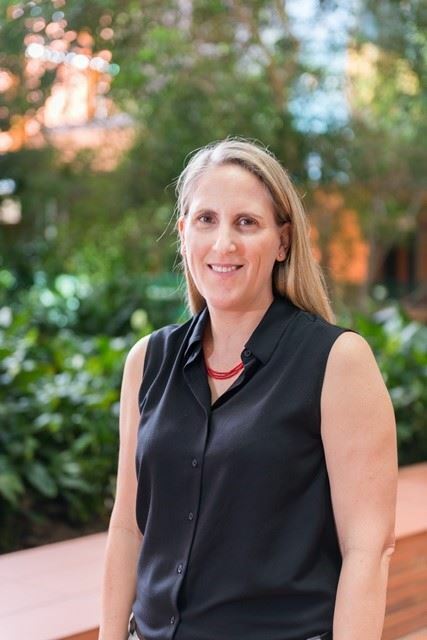 Prof Mia Woodruff is the acting Director of the Herston Biofabrication Institute and leads the Biofabrication and Tissue Morphology Group. She attained her PhD in 2006, has published over 70 papers and is CI on over $4 million in research grants. She is an expert in bone tissue engineering with extensive experience in biomaterial scaffold fabrication techniques and pre-clinical models and has built a world-leading histology laboratory. She is the recipient of a QUT Vice Chancellor’s Research Fellowship and ARC APD Fellowship. 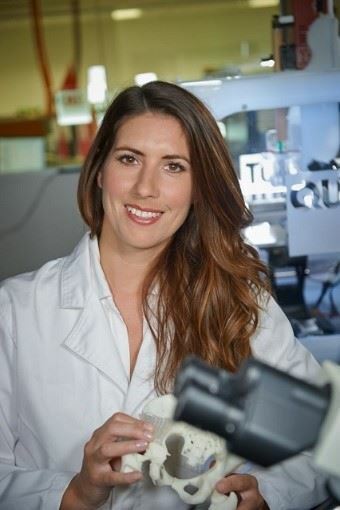 Mia was awarded second place (highly commended) as Queensland’s Women in Technology “Rising Star” in 2012 and a finalist for the Biotech researcher award in 2013 and 2015. She was also the winner of the Queensland Young Tall Poppy Science Award in 2013 and in 2014 was recognised in Qweekend’s Queensland 50 Best and Brightest. 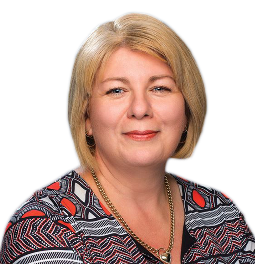 Most recently, in 2017 Mia was awarded the Rose-Anne Kelso Commemorative Award for her “endeavours, passion and dedication to the health and life sciences industry”. Mia’s is a passionate science communicator and her exciting vision is of a future where the fabrication of patient-specific replacement tissue and organs is safe, cost-effective and routine. This dream drives her fascinating research to advance the high-tech sciences of tissue engineering and Biofabrication and she is currently leading her most exciting project to date: The establishment of a world first institute in Biofabrication, in partnership with Metro North Hospital and Health Services. Erin van der Veer is a digital transformation professional and advocate in the Department of Transport and Main Roads (TMR). Erin first joined TMR as a procurement graduate in 2010 after graduating from Griffith University with a Bachelor of Business degree. Over the last eight years Erin has been involved in a number of ICT transformational projects. In 2016 Erin was one of the foundation members of the Digital Program, first in the role of Manager (Digital Maturity) and in 2017 moved into the newly created role of Manager (Digital Capability). In this role Erin is leading the digital capability uplift of staff across TMR with the current capabilities of focus being; Agile, Lean, Design Thinking and Customer Journey Mapping. For the 2017/18 financial year Erin oversaw the delivery of over 50 events, reaching over 1,000 staff. 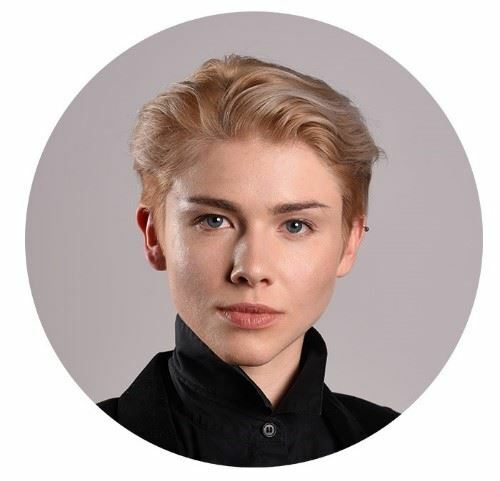 Erin has gone onto to gain qualifications and skills in procurement and a number of digital capabilities that support a human-centred design approach that enables the best technical outcome for customers and users. Dr Davis believes that the key to unlocking the mysteries of breast cancer lies in our understanding of normal breast development. Her research seeks to understand the cellular hierarchy in the breast and the pathways that regulate breast stem cells. These cells are believed to be the cell-of-origin of many breast cancers and are linked to treatment-resistance. Thus, a greater understanding of molecular and phenotypic profiles of these cells—that is, the way they “look” and “behave”—has important implications for the treatment and prevention of breast cancer. Dr Davis also studies the unique capacity of the breast to sustain multiple cycles of pregnancy and lactation, a remarkable feat of repetitive regeneration. 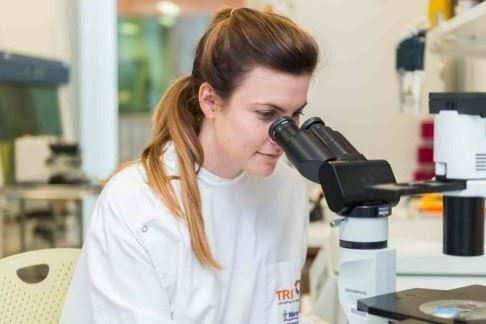 She hopes that a greater understanding of the processes governing growth, death and regeneration under physiological conditions will help to identify new strategies for curbing the uncontrolled growth, death-resistance and regeneration that is characteristic of many breast cancers. Felicity completed her PhD in 2012, before performing postdoctoral research at the NIH and Cambridge University. She is a University Medalist, NHMRC-Fellow and a passionate advocate for women in science. She has published 21 articles in high-quality journals, including Nature Communications and PNAS, which have been cited over 900 times. Yadan Luo is currently a PhD candidate in School of ITEE, The University of Queensland. She received her BSc degree from Yingcai Honors College of University of Electronic Science and Technology of China (UESTC), and her PhD in Computer Science from School of ITEE, The University of Queensland (UQ). Her research interests mainly include multimedia indexing and search, Computer Vision & Deep Learning. 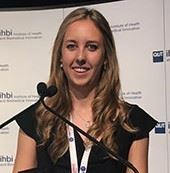 Naomi Paxton is a full-time PhD student and researcher at the Queensland University of Technology (QUT) in the area of biofabrication, developing tissue engineering structures fabricated using advanced 3D printing techniques. Specifically, Naomi works in the highly multidisciplinary Biofabrication and Tissue Morphology group, led by Professor Mia Woodruff, to fabricate complex, patient-specific scaffolds for bone regeneration. 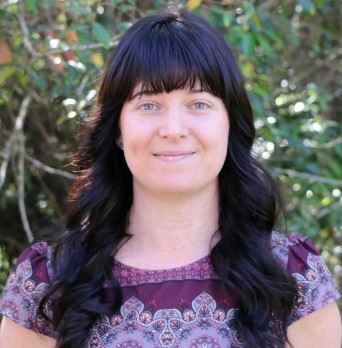 With a background in physics, she has completed the Dual International Masters degree in biofabrication between QUT and the University of Würzburg, Germany, from which she has published 3 peer-reviewed publications and presented at numerous conferences and workshops. Naomi has recently been awarded the national Campus Travel & Virgin Australia Women in STEM Travel Grant, as well as the CSIRO Alumni Scholarship in Physics, to support her international research and collaborations. Naomi is a passionate science communicator and STEM ambassador for two high school engagement programs, giving regular invited addresses at high school events and public showcases including two TED talks. In addition, Naomi’s service record includes active participation on university committees and volunteering for community outreach events. She also has extensive teaching experience as a lecturer and demonstrator for undergraduate courses, STEM workshop facilitator and private tutor. I grew up in rural Northern NSW and moved to Brisbane in 2011 to begin my BSc degree at the University of Queensland (UQ), after completing high school in 2009 and a year abroad as a Rotary Exchange student in Germany in 2010. I completed my BSc degree in July 2014 and an additional honours degree in July 2015 focusing on evolutionary biology. From there I took some time off and worked in rural outback QLD as a Jillaroo, volunteered for the RSPCA, worked as a venomous snake handler, continued working as a swim teacher and pool lifeguard, and came back to begin my PhD in snake venom evolution in April 2016 at UQ. I was awarded in 2016 the APA Scholarship after receiving first class honours. I have since been awarded the QLD Women in STEM People’s Choice Award 2017, presented my research at several international conferences including ISTH Berlin, Venoms symposium Oxford University and IST China. I have authored a total of 13 publications and was awarded earlier this year the ‘Faculty of Science PhD Future Superstar Award for UQ’. I have also presented my research on an episode of ‘Scope TV’, 4ZZZ digital, UQ Change Makers and ABC Brisbane Radio.